Are you looking for a way to hand out something small with a wine or water bottle? 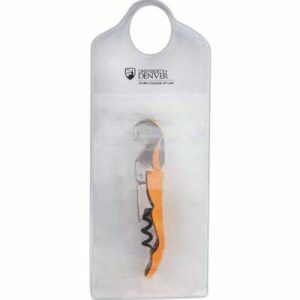 These clear vinyl bottle neck hanger pouch can hold a wine opener, small candies, lip balm, golf tees or other small items. Great way to brand yourself with your logo imprinted at the top of the holder or order them blank and put the imprinted item inside the pouch. 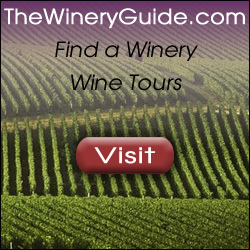 Great for table favors, wine related events, golf tournaments, trade shows and meetings. These hanger pouches are 3 3/8 ” x 8 1/2 “, made from PVC and have a 2-1/4″ x 2-1/4” imprint area. Min. is 36 for blank pouches, at 47 cents ea, 100 at 45 cents ea, 250 at 44 cents ea, 500 at 40 cents ea, 1000 at 39 cents ea. With 1 color imprint, prices are: 100 at 1.03 ea, 250 at 1.02 ea, 500 at .94 ea, 1000 at .93 ea. Set up is 50.00.